Basic soap recipes are ones that have no frills, no additives and provide you with a clean slate to create your own soap making masterpieces. Simply pick the soap recipe that suits your wants or needs and then start creating. Select a scent, pick a design idea, choose your additives...there are so many possibilities that you'll find it hard to decide what to try first. All of the recipes listed below can be made using the cold process, room temperature or hot process methods of soap making. Whichever method you decide to use, I urge you to run the recipe through a lye calculator before starting. 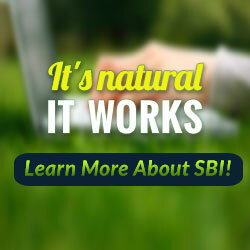 This habit is important to develop because it ensures that all homemade soap recipes you use are correct when you start and it encourages you to start exploring on your own with new and improved formulas that you have created. Have fun and happy soaping! This basic soap recipe is a great one for those who are new to soap making. It contains ingredients that can be found at most grocery, drug and hardware stores. Distilled Water - 297 gr. | 10.5 oz. Lye - 126 gr. | 4.4 oz. This basic soap recipe, like the one above, is also a great one for those who are new to soap making. Lye - 126.7 gr. | 4.5 oz. This is the recipe I now use to formulate my recipes with. It is palm free and contains castor oil for extra creaminess, enough coconut oil for big bubbles and a good amount of shea butter and olive oil for a lovely stable, conditioning lather. This is the basic soap recipe that I started with back in 1998. It has stood me well for quite some time. It lathers well and produces a good, hard long lasting bar of soap. For a little extra bubbles try the version below with castor oil added. Distilled Water - 326.07 gr. | 11.502 oz. Lye - 125.6 gr. | 4.43 oz. 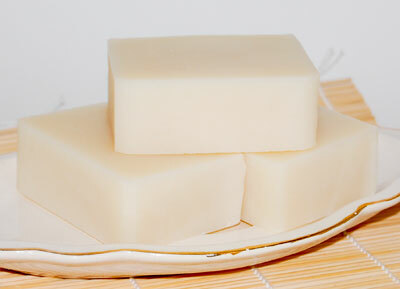 The addition of castor oil to this basic soap recipe, in my opinion makes all the difference. I just love big creamy bubbles and castor oil boosts the lather perfectly. I've used 10% in the following recipe but anywhere from 3% - 10% works well. Lye - 125.0 gr. | 4.4 oz. A true castile soap contains only olive oil. I have found that though a castile soap is extremely mild, it does have a slightly slimy lather. This homemade olive oil soap recipe has the addition of a small amount of coconut oil for cleansing and bubbles as well as some palm oil to provide a more stable lather. Very similar to the recipe above, this version uses Shea Butter instead of Palm oil and has a touch of Castor oil for extra bubbles. Distilled Water - 315 gr. | 11.11 oz. Lye - 122.05 gr. | 4.3 oz. Another basic soap recipe that is palm free. This one contains Avocado oil and Shea Butter instead of Palm oil. I've also put in a bit of Castor oil for those bubble again...can you tell that I like bubbly soap?